BOWLING GREEN, Ky. – Chevrolet announced today the track-bred 2017 Corvette Grand Sport will be priced at $66,445 for coupe models and $70,445 for convertibles, when they go on sale this summer. The prices include the destination charge, but not tax, title and other dealer fees. 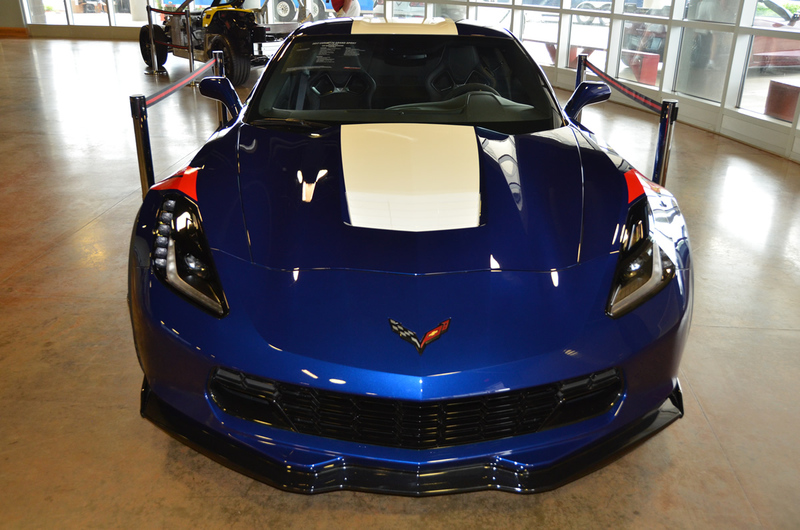 The new Grand Sport also offers estimated 0-60-mph performance of 3.6 seconds and quarter-mile capability of 11.8 seconds at 118 mph, with the available Z07 performance package and available paddle-shift eight-speed automatic transmission. A seven-speed manual with Active Rev Match is standard. Further, engineers adapted the Brembo braking system from the Corvette Z06 to give it estimated 60-0-mph performance of less than 100 feet with the available Z07 package, which adds carbon ceramic-matrix brake rotors, along the PS Cup 2 tires. FAST FACT: The original 1963 Grand Sport race cars were built just before a corporate edict suspending direct motorsports involvement was announced. They didn’t compete officially, but Zora Arkus-Duntov got them to racers who campaigned the cars privately.